Far Above Rubies: Franciscan "Ivy" and Mirro-Matic for Lucille Ball's 100th Birthday! Franciscan "Ivy" and Mirro-Matic for Lucille Ball's 100th Birthday! Yes!! It's the 1950's Mirro-Matic percolator used on the show! I found this one on ebay and it still works. Although the original cloth cord came along in the package, it is not in great shape so a newer cord was included. I LOVE the shape of this pot! Anita, What a gorgeous post. May Lucy's memory be never forgotten and you and Lucy are such class A women!!!! What a beautiful tribute. As a Cuban I like to thank you for this lovely tribute to Lucy and Riky,my family love tha show to. Love your I Love Lucy china pattern! She was a clasic. I loved Lucy and Ricky! What a fun show that was. 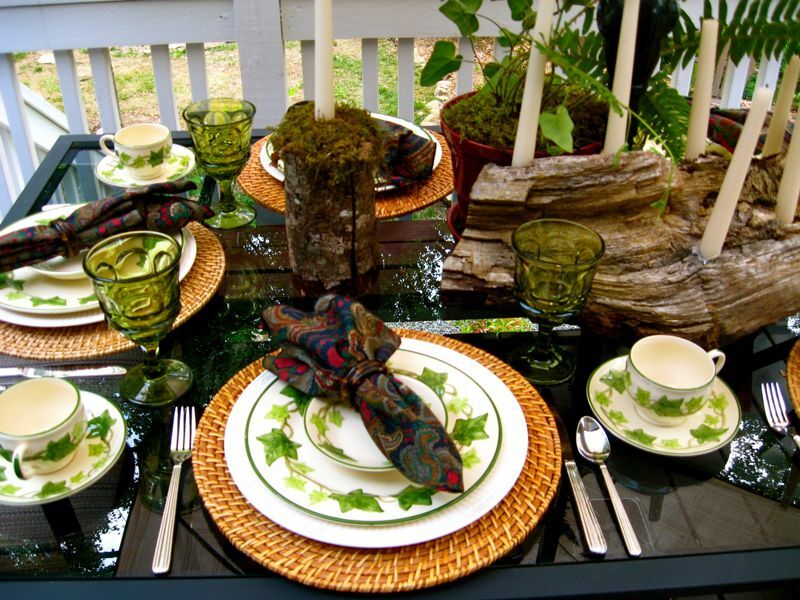 I've never seen these ivy dishes before but they are beautiful in all your gorgeous tablescapes. Happy Birthday Lucy! I can't believe she'd be 100. I miss those old coffee pots. Thanks for sharing!!! I love Lucy, too. 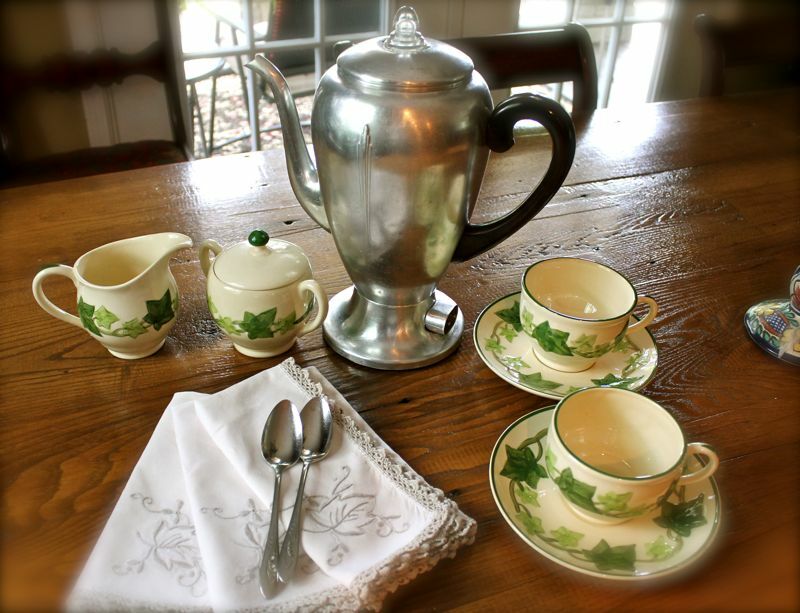 Your table looks fantastic and ther percolator is great! I love this post! Your new percolator is awesome! Tom proposed to me while I was watching a 24 hour "I Love Lucy" marathon on Valentine's Day! Lucille Ball always brings back wonderful memories. I need to show Jemma her show! Your tables are gorgeous too as always. 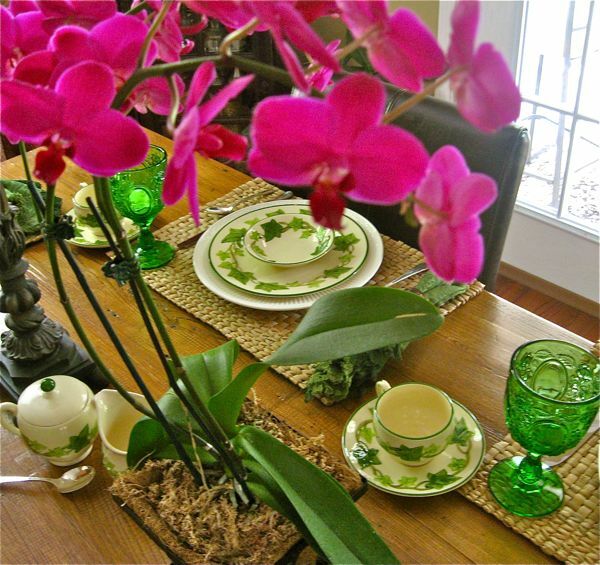 I love the orchids, but that piece you made from the wood for the candles is outstanding! 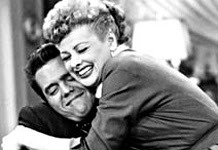 Lucy was an incredible comedienne ~ what a joy to the world! 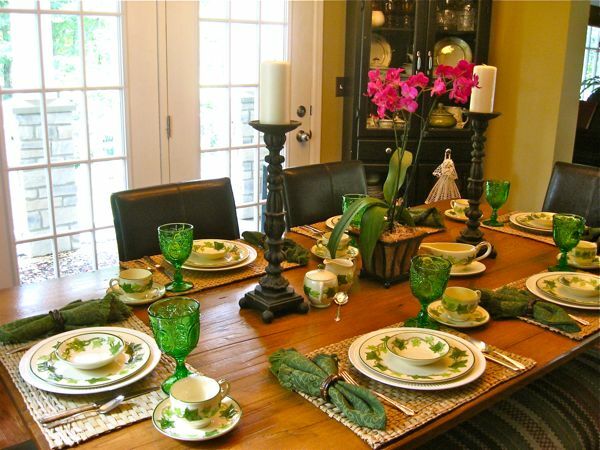 Your ivy tablescapes are so lovely, Anita! I love the camera angles too... pretty from the inside to the outside! I hope you and your family have been having a wonderful summertime. This was such a lovely post-what a wonderful tribute to Lucy! 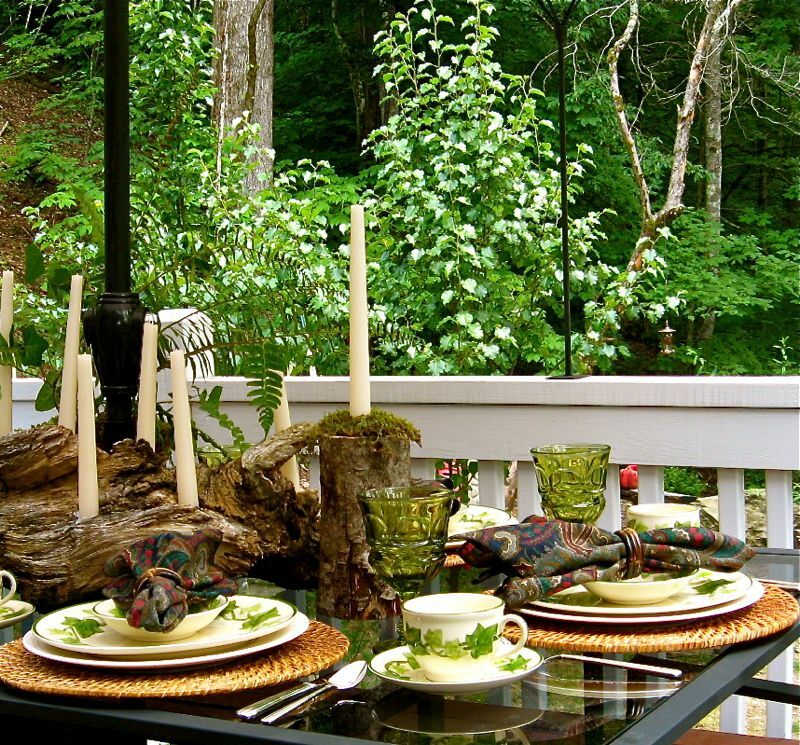 Your tablescapes are always so amazing! Wonderful! We love Lucy too and I've been wanting to do a tribute post and haven't had the chance. This is so unique and that pot is to die for! Lucy is timeless! Thanks for the beautiful post. 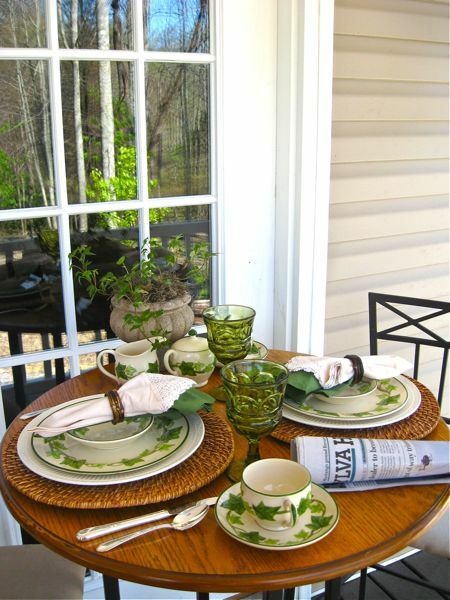 Your dishes and glassware are just lovely. I love all things Franciscan! Aww what a neat tribute! I love the Mirro-Matic coffee pot! I imagine that old pot has made a lot of coffee! 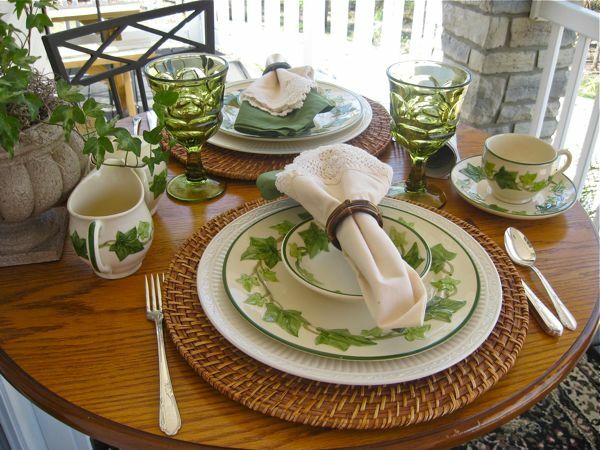 You really have enjoyed the Franciscan Ivy dishes- all the settings look great! 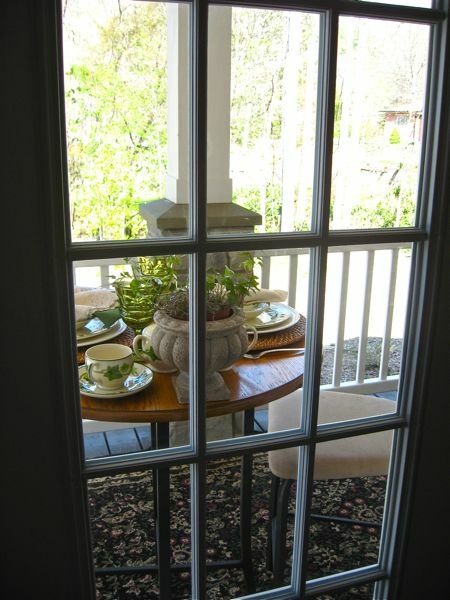 (I have that same pedestal flower pot too!) 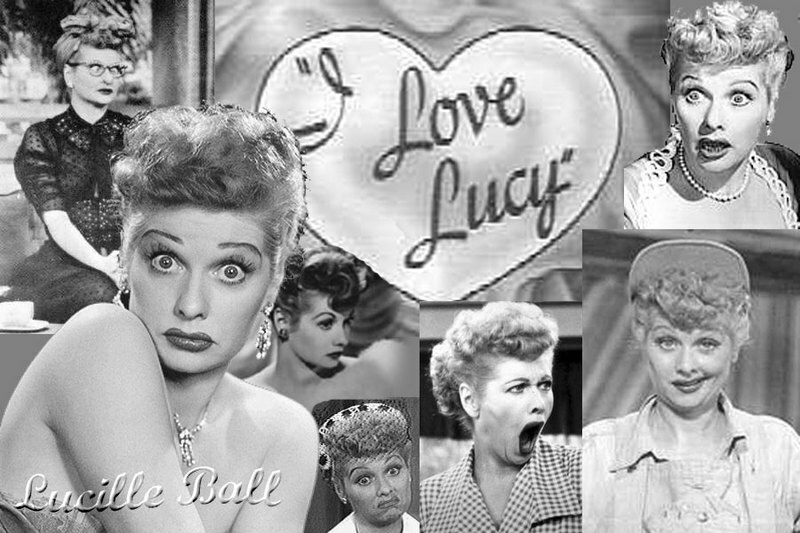 I love Lucy too! I love to stare at her face and realize just how beautiful she was...her tv show made her seem so hair brained and silly but she wasn't like that in true life! She was a smart business woman! 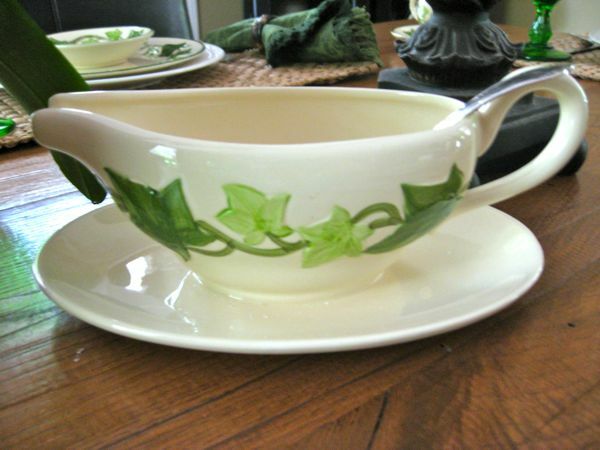 I love every single way that you used this classic dinnerware. 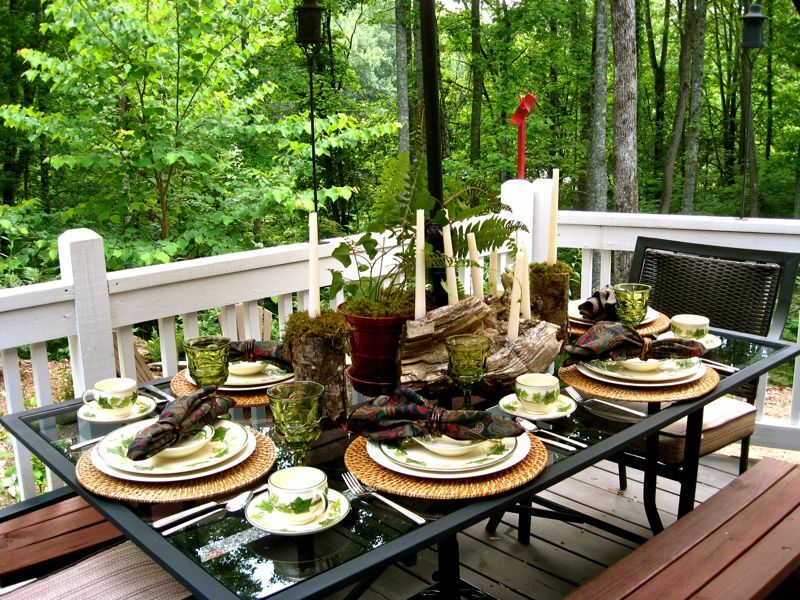 Big table or small table, inside or out, it always looks wonderful, doesn't it? 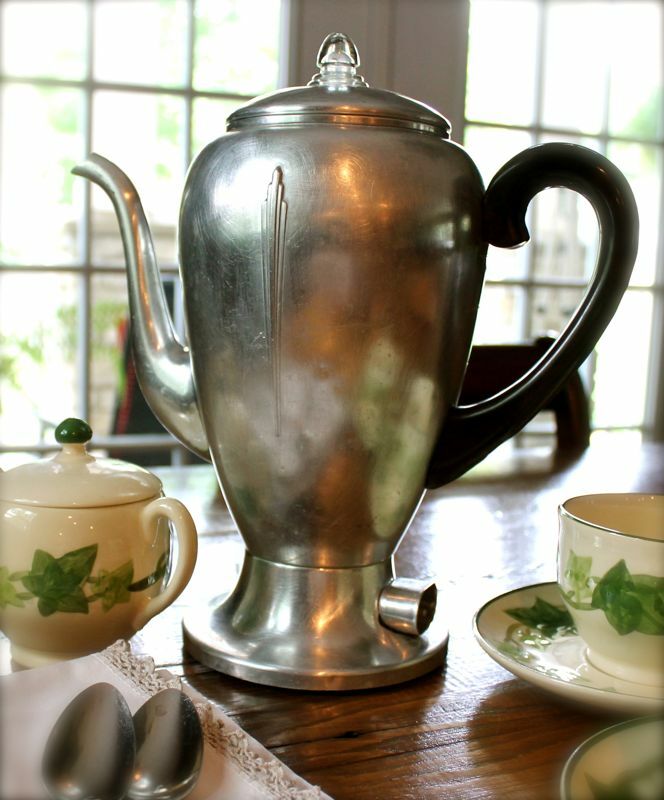 My favorite part of all is the vintage coffee pot. I can almost picture Lucy and Ricky over their morning coffee. I, too LOVE Lucy. What a wonderful idea for a birthday post! I love each and every one of your ivy tables. Waht a wonderful set of dishes. And happy birthday Lucy. She sure has brought us a lot of laughs. Loved the driftwood candleholder. 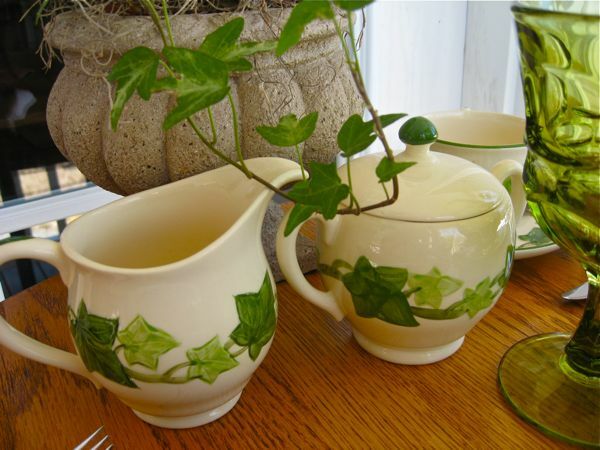 I have always loved the Ivy pattern. I have a large collection of Dessert Rose. Not the new stuff. It was all original purchases for me, that makes it vintage. Don't stop using the Ivy all the time. It holds up extemely well. I loved Lucy and Ricky too. The percolator is awesome. Love the shape of it and the black handle. Oh I envy your Mirro-matic peculator find! Its so beautiful! I too did a tribute-post to Lucy on her 100th birthday! I'm a huge fan! Vintage "Dallas Ware" and "Raffiaware"